decent room, confortable for 1 night, parking good until it is full up. nice courte paille next door and Auchan over the road. It was value for money and we liked the restaurant open on site from 6pm. Good choice and enjoyable. The older lady on reception was nice and the bed was comfortable. Clean, comfortable rooms with heating easily adjusted or turned off, windows which opened, good curtains/blinds, lovely clean comfortable bed. My dog was welcomed. Service in dining area excellent. Easy to find location. One night on route to Spain. Safe parking. Polite & friendly check in receptionist. Roomy double bedroom. Shower good. Quiet. Good night sleep. Would stay again. 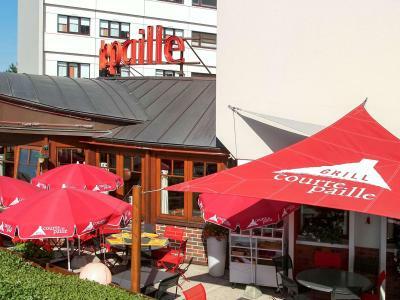 The rooms have been upgraded and are very comfortable and the hotel is very conveniently situated for the Auchon supermarket opposite, and close to the A10 motorway. Our dog was allowed in the restaurant, and the food prices are fair to good. Parking is good. Shops nearby with large Auchan supermarket. Location is good as very near the motorway. Located a 5-minute drive from Poitiers city center, and a 12-minute drive from Futuroscope Theme Park. 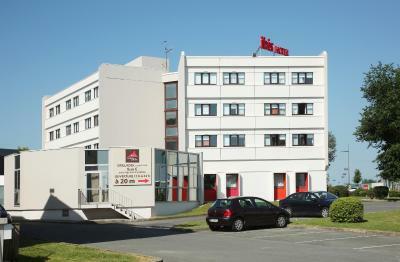 The ibis Poitiers Sud is 2.9 mi from the train station. 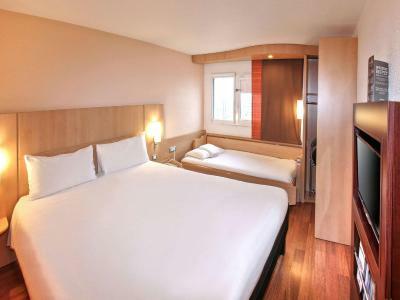 It has a 24-hour reception, and provides free WiFi access in the soundproofed guest rooms. 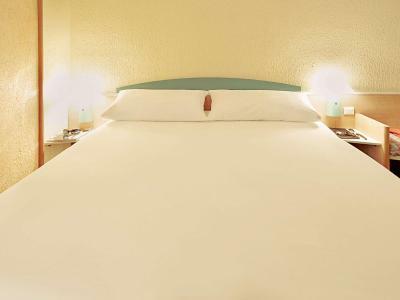 All the ibis Poitiers Sud rooms have a double bed, a desk, Internet access a TV with all the main channels as well as a private bathroom. A buffet breakfast composed of sweet and savory dishes such as eggs, fruit salad, yogurts and juices is served every day. Pastries baked on site and fresh French Madeleine cakes are also on offer, as well as a hot beverage and a piece of fruit to take away. Outside of regular breakfast hours guests can also enjoy a lighter option, available from 04:00. 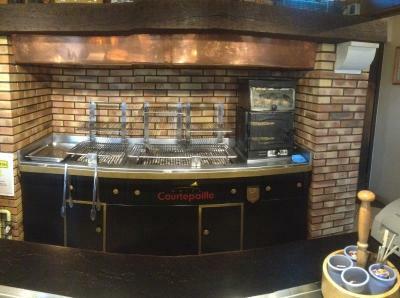 There is a Courtepaille restaurant on site as well as a 24-hour bar serves snacks and light meals. Private parking is free on site and Poitiers-Biard Airport is just 3.1 mi away. 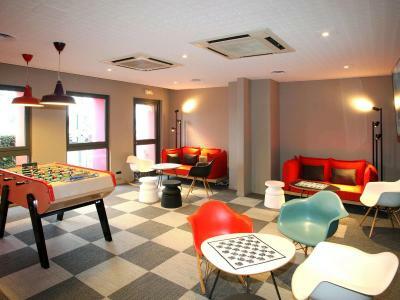 When would you like to stay at ibis Poitiers Sud? Air-conditioned room with a flat-screen TV, private bathroom and free Wi-Fi. This twin room has air conditioning and satellite TV. House Rules ibis Poitiers Sud takes special requests – add in the next step! ibis Poitiers Sud accepts these cards and reserves the right to temporarily hold an amount prior to arrival. Convenient location , pet friendly , quiet room. The room was very hot and air con had a fault but too late to put right. Breakfast a bit pricey for someone with a small appetite. Room a little small. Desperate need of refurbishemen. Reflecting in the price. Expected more from Ibis Styles. 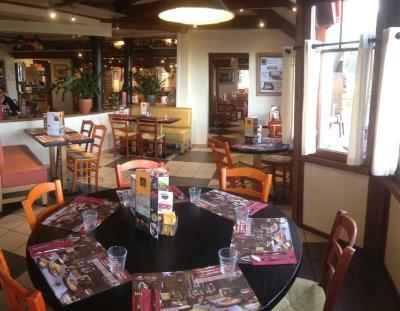 Restaurant ok! Don’t smile much and left waiting. Food & price the usual for area. Curtains were not wide enough to cover window. Lights from Ibis budget hotel were very bright so I got little sleep as it was like daytime light in our room. When curtain covered one end it left approx 250 mm open at other end. Otherwise good. Sadly, our waitress in the restaurant for dinner was probably having a bad day, but she wasn't happy, and got our bill wrong., Otherwise all excellent, and the rest of the waiting and reception staff were good.